Earthbag Building Guide Now Available! New Earthbag Building Guide by Owen Geiger is Now Available! Free ebook with all house plan orders! See below. Much has been learned about earthbag building over the last few decades through research, trial and error, and sharing of information. It is becoming increasingly clear what works best and why. And now with engineer-approved methods for building in code-enforced areas, it is time to pull the most practical ideas together and take this movement to the next level. All major aspects of building earthbag houses are covered: Planning; $10/sq. ft. dirt cheap building techniques; Building code issues; Electrical and Plumbing; Cost estimating; How to build insulated earthbag houses; How to make earthbag benches, and privacy and retaining walls for next to nothing. It is profusely illustrated with about 185 color photos and detail drawings. 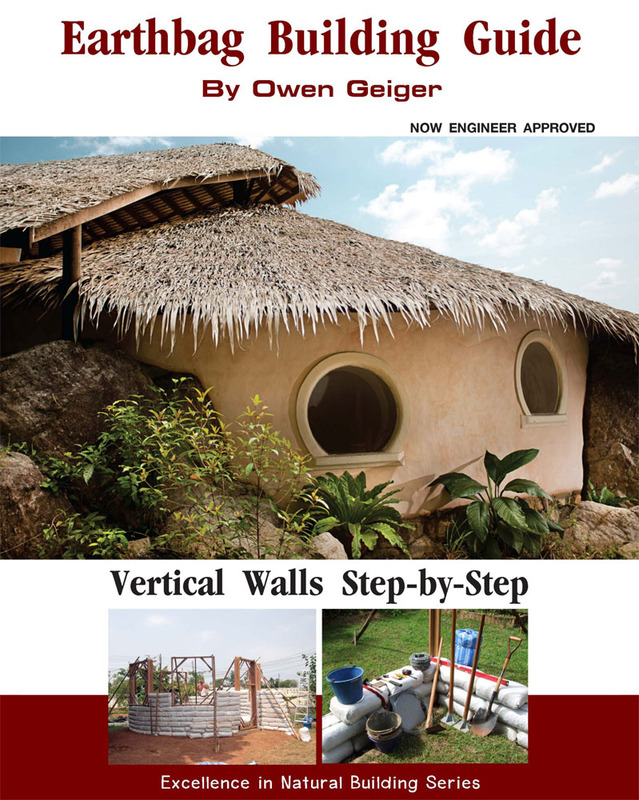 The Earthbag Building Guide by Owen Geiger is now available for $20 as a PDF download. The ebook is available for free with all new house plan orders through Earthbag House Plans and DreamGreenHomes.com.